The Guild is about learning. Our members pass on their knowledge for others to enjoy. This page is where we will collect the knowledge. 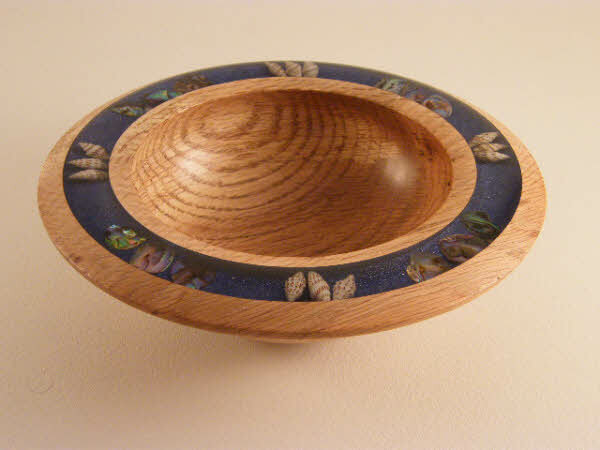 Pepi Waite has been at the forefront of using Resin Inlay at the Guild for some time now. She has put her method on paper for us to follow. Principle is the same as if you took a quart jar, put in a cup of black sand, followed by a cup of white. Shake to mix, pour off a cup. Put in another cup of white, mix, repeat enough times until there's almost no black sand left in the jar. This is not what the soakers do, however. They soak, cover, monitor. Of course the cover and monitor has always been a reliable method, because it does control the relative humidity around the piece, slowing the rate of loss from the surface to that which can be replaced from the interior. That's how wood dries - losing water. Until approximately 30% water by weight, there is no distortion or loss. This is "unbound water" loss. Below 30%, the piece begins to lose "bound" water. Bound to the celluloses themselves by influence bonds. Even when wood is dehydrated by alcohol, the bound water must be evaporated afterward. In the analogy, put some glue in the quart jar and shake black sand before beginning the mix. Even after the same number of cycles, there will be "bound" black sand to be removed. 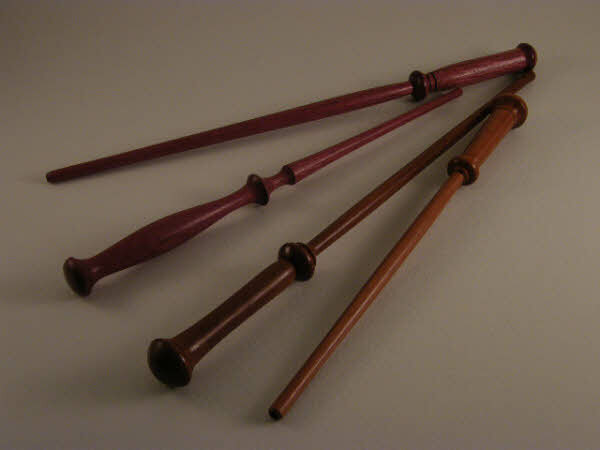 The last one is a more recent one, and is only toxic when it comes into contact with the skin when turning.